3. 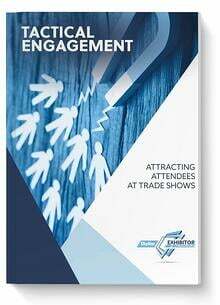 Pre Show Promotion: Over 2/3 of exhibitors have a prepared agenda and they have preselected who they are going to go and see. The way attendees figure out who to go see is based on one fundamental principle, that someone communicated to them in advance of the show and gave them a compelling reason to come and see them. Sometimes simply having your sales staff invite people to visit your exhibit can make a difference… especially if you combine that with setting appointments. 4. Poor Placement in the Show Hall: One key to traffic in your space is having a location that makes you easy to find. Generally, places to avoid are the far left of the show hall, by the necessities (restrooms and food), the back of show hall, and by the structural support poles. Instead stay where you are most visible, generally in the center of the hall and inside your industry grouping. 5. Planning Too Late. 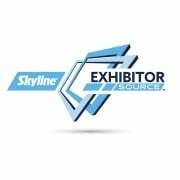 While it can be relief to put a recently completed annual trade show behind you, that’s actually the best time to make concrete plans for next year’s event. If you put that show out-of-mind for six months, you’ll likely forget the key insights you gained from that show. By beginning your planning 12 months in advance, you’ll also avoid much of the frantic, last minute preparations that are too common in exhibiting. 6. Placing Form Before Function. Overly bright or dark lighting, abstract colors, or non-traditional layouts may seem like a way to set your booth apart, but they may create a psychological barrier to attendees. Studies have shown that booths that contrast too greatly with the hall carpeting or are surrounded by high walls can often be intimidating to show attendees. Rely on a professional designer’s insights for creating an inviting display. 7. Ineffective Interactive Marketing. Postcards and other traditional forms of marketing are still important. Today, though, social media is king. Combining a Facebook event page (with livestreaming from the event), a series of advance blog posts, an event-specific Twitter hashtag, a dedicated landing page on your website, and regular LinkedIn updates are critical to building awareness. If you make your updates playful and entertaining rather than promotional—and incorporate user-generated content when possible, you’ll get much better social sharing and brand awareness. 8. Poor Graphics. Graphics that are cluttered, damaged or out dated have no business on your exhibit and can be trade show deal breakers. In addition, graphics that are small, poorly lit, displayed below eye level, or that don’t clearly communicate your benefits will hinder your trade show effectiveness. Take a look at your current graphics to decide if they need an overhaul before your next show. 9. Sending the Wrong Staff. The best person to staff at a show has to start with a fundamental question being answered…. “does this staffer want to be there?” If the answer is no, then this staffer should not be attending. Many sales directors think that sending a new hire to the show is a good way for that person to hit the ground running. However, you need people who are experienced in the process and are focused on success. By all means, get your new hires up to speed on how you manage your trade show, but don’t let the newcomers lead the way until they learn the ropes. 10. Little Staff Buy In: Before you roll out a new technology, game or product at a show, make sure your staff has had an opportunity to ask questions, get trained and understand the objectives of why you are doing what you are doing. This is particularly true when you have some technology in use for the first time. Let people get comfortable with it or you risk your staff doing things the way they always have and not adopting your plan. 11. Not Having a Plan “B”. What are you going to do if your display doesn’t show up? What if one of your booth staffers gets the flu? What’s your plan if you run out of brochures or your exhibit is out of regulation? You’d better have a back-up plan for all of these situations and more. 12. Lack of Proper Follow-up. Approximately 79% of leads are not followed-up after a show, but blasting show attendees with the same boring email doesn’t count as an effective follow-up. Instead, immediately after the show organize the list of leads so you can target people with content tailored to their product interests or market. 13. No Post-Show Marketing. Just like not following up on leads, a lot of people fail to continue marketing after the show. Attendees who were on-the-fence after the show may be swayed your way with your post show marketing. In other words, those B & C leads should still receive contact from you to be nurtured into sales-ready, A, leads. 14. Forgetting to Celebrate Success. Nothing demotivates staff more than singling out every imperfection from an otherwise stellar event. Remember to focus on the positive outcomes of every exhibit, and pat your team (and yourself) on the back for a job well done! 15. Not Measuring ROI: Every investment we make as an organization should withstand the fundamental question of what are we getting from this show. We need to be able to justify our investments through a clear return that speaks to the decision makers involved.